The Duke of Edinburgh is celebrating the 30th anniversary of a Cambridge University institute based on the ideas of his educational mentor, Kurt Hahn. But who was he? 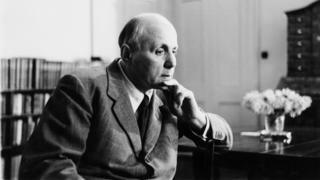 "There is more in you than you think" was the motto Kurt Hahn used during his long and active life. A German Jew who opposed and fled the Nazis and mentored the Duke of Edinburgh, his influence on education is all around, even if his name is not. Hahn was instrumental in setting up the Duke of Edinburgh's Award scheme, which has introduced millions of 14 to 24-year-olds to outdoor adventure and community service. He established Gordounstoun, the Scottish private school that has educated several members of the Royal Family, and inspired the creation of dozens more schools around the world. He co-founded the Outward Bound Trust, whose courses more than one million people have taken. On Wednesday, the duke attended a reception in London commemorating 30 years of the Kurt Hahn Trust, which provides scholarships for German students to come to Cambridge University and vice-versa. In a speech, Hahn once said freedom and discipline were "not enemies". He advocated "experiential" learning - putting young people in situations to challenge them mentally and physically. Hahn said he wanted to prevent the erosion of children's "inherent spirituality". "If you throw a glance at the boys of any public or secondary school you find them up to the age of 13 full of curiosity, courteous, animated by high and good spirits," he said. "Then they reach the awkward age. They often lose their freshness and their charm, sometimes forever. I belong to a secret society called the Anti-lout Society." To combat these he developed a programme for developing "moral independence", physical wellbeing and the ability to tell right from wrong. Born in 1886, Hahn suffered severe sunstroke in 1904, and had to have the occipital bone at the back of his skull removed. Throughout his life he avoided sunlight and wore a wide-brimmed hat while outdoors, creating an air of eccentricity. Hahn co-founded the Schule Schloss (Castle School) for boys in Salem, in the German state of Baden-Wurttemberg, in 1920. Pupils had to go for a run before breakfast, drank milk at mealtimes, did 45 minutes of athletics during their mid-morning break and, after lunch, lay flat on their backs for 45 minutes while a teacher or older pupil read aloud to them. They also helped with the upkeep of the school. On Saturdays, the boys formed "guilds" of explorers, farmers and artists, which Hahn said gave their eyes a "gleam". Philip, who had been exiled from Greece following a revolution when he was an infant, arrived at Schloss in the autumn term of 1933. It was a bad time for Hahn. In August 1932, five months before he became chancellor of Germany, Hitler had condoned the murder of a communist by Nazi stormtroopers. Appalled, Hahn had written a letter to Salem's old boys, telling them to disregard Hitler or break off relations with the school. "Germany is at stake, her Christian civilisation, her reputation, her military honour," he wrote. In March 1933, Hahn was one of many people arbitrarily arrested following the burning of the Reichstag. He was allowed to leave Germany in July only after the intervention of UK Prime Minister Ramsay MacDonald. The next year, he founded Gordonstoun school, taking over a stately home in Morayshire, an area where he had spent time while a student at Oxford before World War One. He ran it along similar lines to the Schule Schloss. One of his first pupils was Philip, who had moved to the UK from Germany. At Gordonstoun, the boys rose at 06:30 for a cold shower and a run, the timetable for the day much like that in Germany. At 21:15 there was a quarter of an hour of silence to enable the pupil to "glean the harvest from his manifold experiences" before lights out. "After a very difficult childhood, Gordonstoun gave Prince Philip a much needed sense of stability, says Philip Eade, author of The Young Prince Philip. "Hahn's spartan educational philosophy made an impression on the young prince that has remained with him throughout his life and has doubtless helped him in all sorts of ways as the longest-serving consort in British history." There was great emphasis at Gordonstoun on learning seamanship, as it encouraged teamwork. Later, mountain and sea rescue were encouraged, activities Hahn thought would instil active compassion for others. Several 1930s opinion-formers were impressed by Hahn's ideas and force of personality, including the Archbishop of York and the novelist John Buchan. But WB Curry, the headmaster of Dartington Hall school, Devon, was concerned his ideas were "incompatible with a really liberal civilisation" and "the product of the tortured German soul". "I also insist that his psychology has far more roots in his own emotional nature than in the nature of other human beings," he said. Some later pupils complained that the regime at Gordonstoun was overly harsh, with bullying rife. Prince Charles, who attended in the 1960s, reportedly called it "Colditz with kilts", while the writer William Boyd likened being there to "penal servitude". "It's clearly not suitable for everyone, as Prince Charles's miserable time at Gordonstoun showed," says Eade. Image caption 1962: Prince Charles arrives for his first term at Gordonstoun, an experience he described as "Colditz with kilts"
But Daniel Emery, a pupil from 1985 to 1989, enjoyed his time there. "There's more to life than pure academic achievement," he says. "It's important, of course, but Gordonstoun gave you a zest for life." After founding Gordonstoun, Hahn set about spreading its philosophy beyond public schools. In 1937 he started the Moray Badge scheme, allowing children living nearby to get physical training, take part in expeditions and complete a project before earning the award. He wanted to extend this nationwide into a County Badge scheme, but the resources were lacking. In 1941, Hahn started the Outward Bound School in Aberdovey in Wales, along the same lines, the wider-reaching Outward Bound Trust starting in 1946. And in 1956 the Duke of Edinburgh's Awards scheme began. Participants can gain bronze, silver and gold awards, in return for volunteering for community service, learning physical activities and skills and going on an expedition, such as a mountain trek or a sailing trip. Almost 2.5 million awards had been achieved by March last year. "The duke has a a very clear view, which has come from Hahn," says the award scheme's chief executive, Peter Westgarth. "He's always seen the awards as a sort of self-help scheme for growing up." Duke of Edinburgh's Awards are offered in more than 140 countries and territories. "The duke is driven by the idea that people should be compassionate and engaging young people in direct with people they wouldn't otherwise come into contact with." says Westgarth. "It was Hahn who encouraged him to set up the awards." Another aspect of Hahn's thought was internationalism. "Nothing but goodwill between nations and classes can save this generation from wars and revolutions," he said in a speech in 1936. "And education can help to build this bedrock of goodwill as a foundation of the society to be." Hahn died in 1974 and, in 1986, the Duke of Edinburgh co-founded the Kurt Hahn Trust. "He was an incredibly energetic man," says Nicola Padfield, Master of Fitzwilliam College, Cambridge. "He was really committed. A lot of the thinking behind the trust was to get people from different countries talking. It's a fantastic message and it's still appropriate today." In 2007, the US book Leadership the Outward Bound Way described its philosophy, handed down by Hahn, as "a unique blend of two traditions: the Greco-Roman way of tenacity, physical challenge, courage, and perseverance, and the Judeo-Christian way of compassion, self-sacrifice, love, and tolerance". Hahn, unlike other educational innovators of the early 20th Century, such as Italy's Maria Montessori and Austrian Rudolf Steiner, claimed no originality in his ideas, arguing he had picked useful elements of the works of figures such as Plato and the 19th-Century British headmaster Thomas Arnold. Since the 1960s, the Round Square organisation, with 150 member schools around the world, has promoted Hahn's experiential philosophy. And the enthusiasm of his best-known pupil has not dimmed, more than seven decades after he left Gordonstoun. "You were meant to suffer," Prince Philip joked as he handed out gold Duke of Edinburgh's Awards at a ceremony in 2013. "It's good for the soul."